In the s2000 world, we as owners are always looking for parts to add to our vehicles that create more power and also add a pleasing visual experience to our cars. There is a fine line between form and functionality with s2k guys! Enter Brandon McCray and Brian Nichols and the rest of the guys over at Skunk2 Racing. 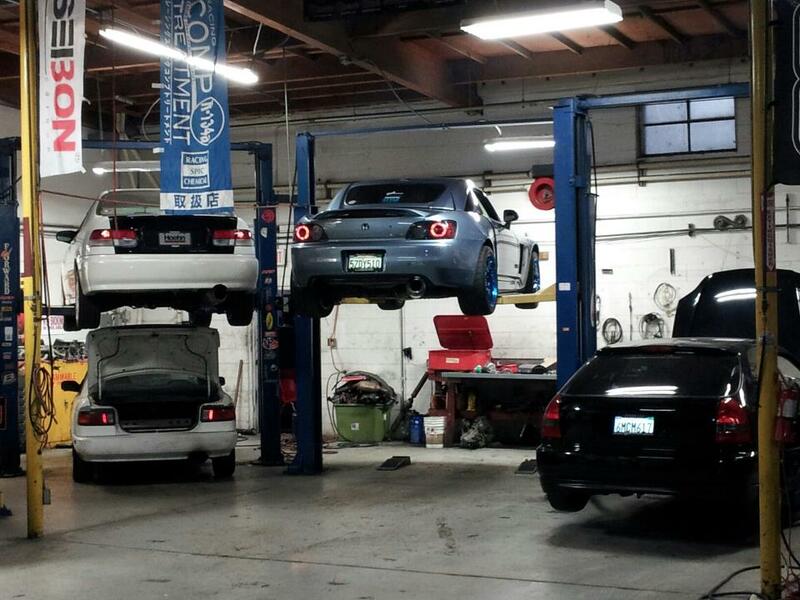 These guys have been researching and producing some of the best parts for the Honda community for 10 yrs! As the s2000 grows older and becomes more affordable we have had an influx of new owners and people that can now afford this top notch vehicle, but not a lot of new parts made for the car to reflect that. When I was first contacted by Brandon I was more than happy to help them check out some numbers on the headers and just give an overall impression of the piece. I received the package shipped down and was more than pleased to find the NEW Skunk2 F Series VTEC solenoid kit in the box as well!! The Header…WOW when I first laid eyes on it I could already tell it was a new style design, the way the primaries twisted and turned and continued down into the collector along with its golden chrome sheen definitely gave it that eye popping look that any s2000 owner would be more than pleased with. Under Further inspection the header is top notch, all the inner sections of the primaries are smooth and deburred and every weld is clean and seamless. This thing reeks of the quality that Skunk2 puts into every piece they manufacture! So this thing holds no secrets that it’s a tubular beast!! The guys at CarTune Automotive Repair were good enough to take a little bit of a late night and help me install the header on the car. Lead Foreman and Owner Jeff Olekso with the help of myself and tuning mastermind Everett Lucas took it into our own hands and made this happen. Upon install we found that the header wasn’t going to just slip right in like most other s2000 units, so with about 5 minutes of additional work we dropped the motor mount and slightly sagged the subframe and “WALA” header installed. The shape and design of the primaries actually made for an easier reinstallation of the header bolts which is usually a tenuous chore. After everything was said and done the header went in with about 1 hours straight labor and wasn’t especially difficult to install in any area. 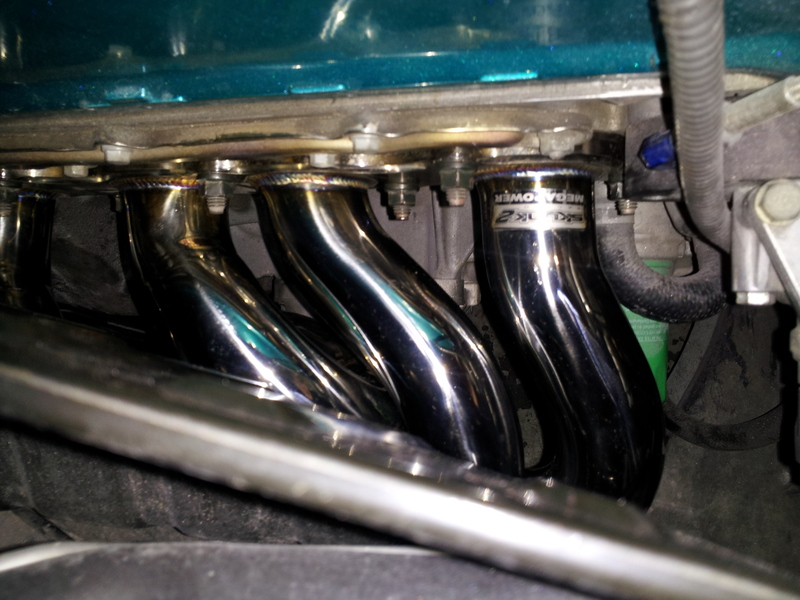 The new Skunk2 Megapower Header for s2000… all installed and good to go !! This entry was posted in Pann Auto News. Bookmark the permalink.